This planet has known very few leaders, sufficiently awake, to make a real difference, and contribute to a significant shift in human consciousness. Most current leaders are ruled by their minds and emotions, which makes them spiritually immature and unfit to be in a position of power. The ego does not understand the implication of power, nor does he measure the responsibilities that come with it. An awakened leader can see that All is One, he stands before an ocean of energy and consciousness and realises he has the power to shape it, to make life easier on earth for All. A leader with compassion treats All as himself because he sees himself in All. An awakened leader has the courage to follow his conscience, not the politically correct trends of his time, he sees, he speaks and he acts accordingly even if that means making enemies, there is no possible evolution without conflicts. An awakened leader serves Presence, beauty and harmony. He is entirely impersonal, he serves because he knows he is just an agent, an instrument of Presence. He understands that the power he is given is a sacred gift, that must be used for the benefit of All and not for self-serving or private agendas. 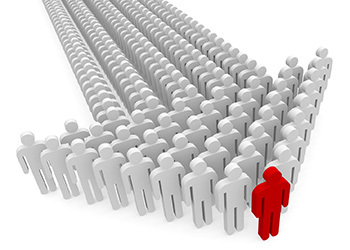 An awakened leader is a divine catalyst, like a magnet he can bring the best out of everyone. He does not exclude but includes wisely. A leader is a torch carrier, a guide. He is loved because he loves, he is respected because he respects. He is followed because he is a living example. Without vision, compassion, courage and absolute impersonality there is only a dysfunctional form of leadership, and it will continue to be so until incompetent leaders are removed from powers and replace by awakened individuals. This entry was posted in Power and tagged leadership, service, vision on February 2, 2016 by Calwen.